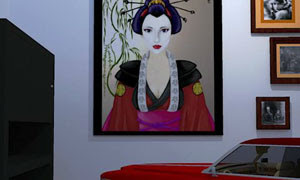 Hot Red Beauty Room Escape is another point & click, escape game by bored. Escape from this Red Hot Beauty Room! You are stuck in a red room full of classic 3D objects, explore the space to find items. Use logic and objects to solve puzzles and escape from the beauty room! Good luck and have fun.